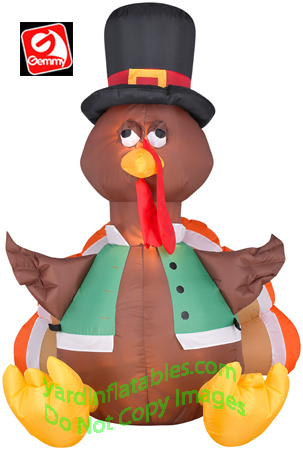 This Gemmy Airblown® Inflatable Halloween or Thanksgiving Decoration is made for Indoor or Outdoor Use! No assembly required! Plugs into any standard 110v electrical outlet. Inflates in Seconds! Great Christmas Present or Birthday Gift! Yardinflatables.com is the Best place to purchase inflatables!